Send me a private message if you would like details for the house concerts. Blues Hall of Fame Induction! 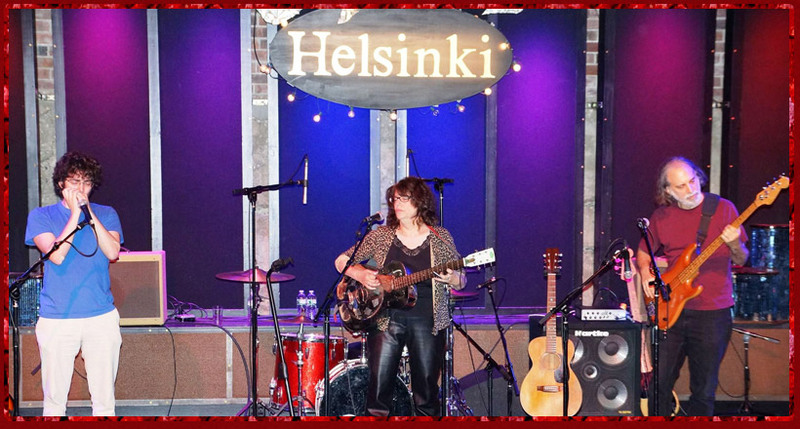 It was a gala evening on June 1st at the beautiful Club Helsinki in Hudson NY. Michael Packer did the honors of inducting me into the NY Blues Hall of Fame. I am honored to join the ranks with artists I have always admired such as John Hammond, Johnny Winter, Happy Traum, and more. Mark Dann played bass and Sam Friedman played harp with me for the evening. 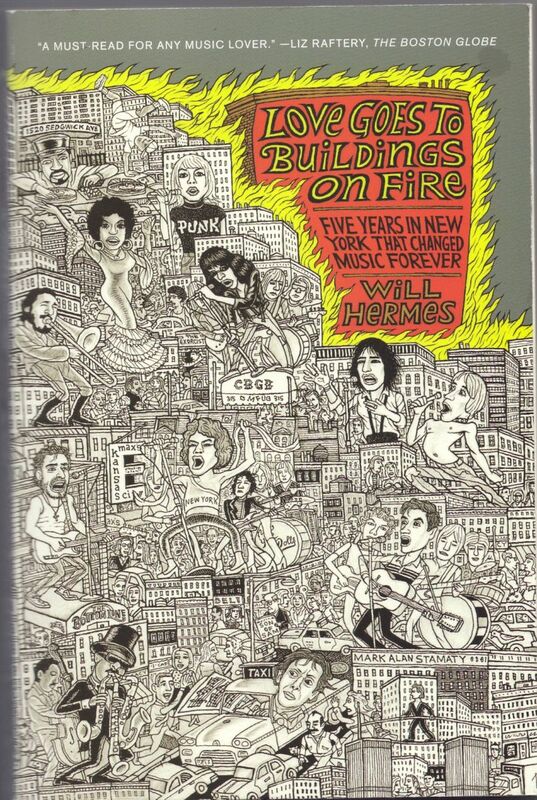 My neighbor came up to me after a performance at the Ashokan Summer Hoot and said she just read about me in Will Hermes' book on the NYC music scene in the 70s: "Love Goes to Buildings On Fire." (I was Elly Greenberg back then.) Yes indeed, there I am on page 68 becuase Hilly Kristal had me as a regular performer at CBGB since he loved and wanted to promote Country, BlueGrass, and Blues. I was the first act at the new Bowery digs when he moved from 13th Street, and subsequently opened for many of the budding punksters such as Television. What a wild time it was....and those bathrooms....don't ask. Elly Wininger & Happy Traum at the Woodstock Invitational Luthiers Showcase! 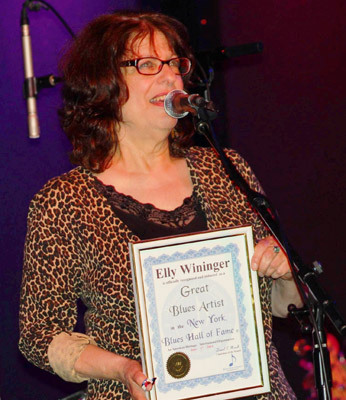 Elly Wininger and Happy Traum perform "Walkin' After Midnight' in a bluesy vein for the 2012 Woodstock Invitational Luthiers Showcase at the Bearsville Theater in Woodstock, NY.